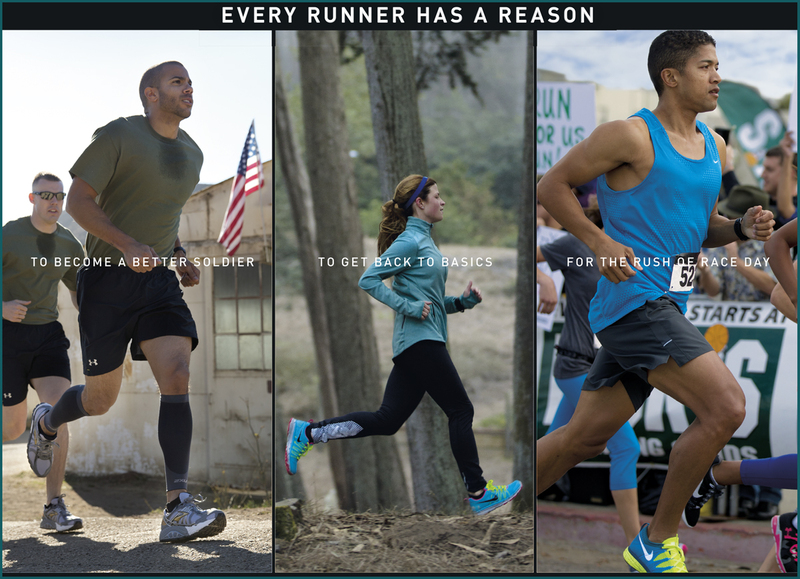 Plan and execute all photography and video for the Every Runner Has A Reason campaign, inspirational stories of why people run. Ensure that all creative and production demands are met and exceeded by assembling a best-in-class team of photographers, producers, support staff, digital experts, and inspirational locations. 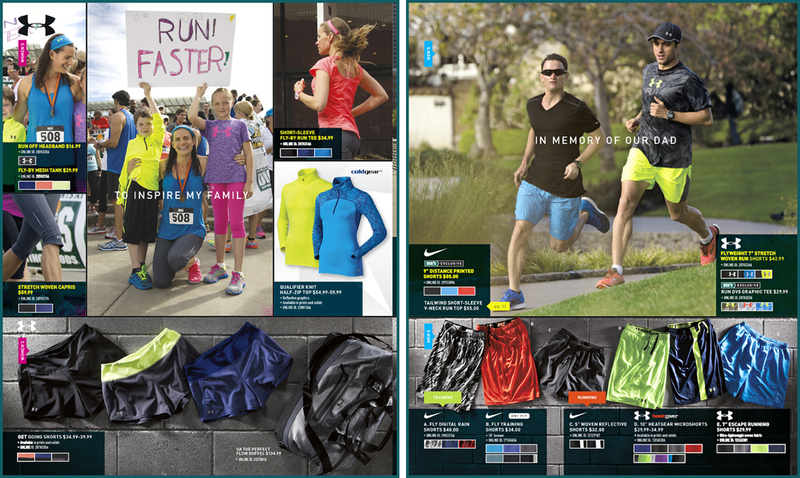 Locate and match photographer, staff, locations, and talent to the Creative Brief in order to create and inspiring story, Every Runner Has A Reason. Identify and scout beautiful urban locations for staging five marathons, club runs, fun runs, training runs, etc. 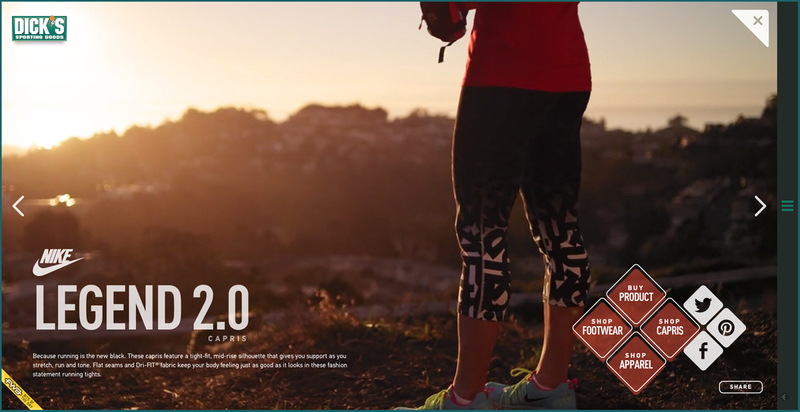 Cast talent from the Bay Area Running Clubs and select a cross section of demographic representation. Schedule a multi-day photo shoot in collaboration with production company, digital video agency, web development company, talent agencies, local and regional government agencies and parks departments. Negotiate location and model releases adhering to strict legal guidelines. Ensure all photography and video adhere to stringent guidelines for reproduction and web/digital application. 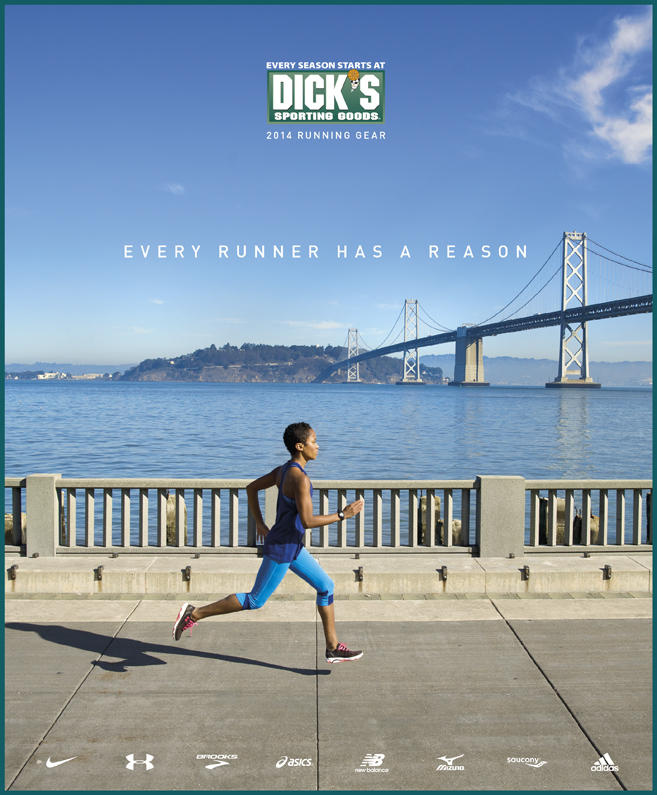 Chose iconic locations in the San Francisco area that were favorites of local runners, creating an inspirational and authentic experience for the consumer. 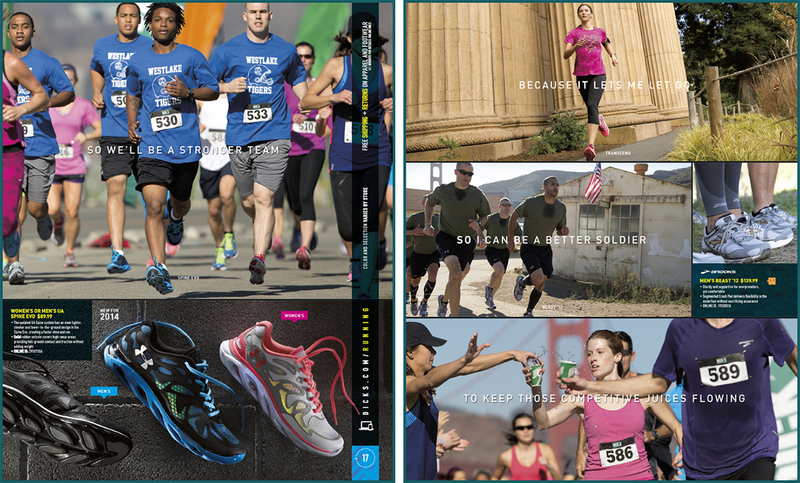 Sourced real runners from local running clubs as well as spectators, firemen, soldiers, students, etc. Coordinated complex still photography with an ambitious digital and video photography plan to create an award winning viewing experience across all channels.